I need to access 192.168.9.0/24 from 192.168.1.0/24 only one direction. I tried using ssh tunneling over raspberry pi(10.8.0.2) but this is not an exact solution for me. Browse other questions tagged debian openvpn linux-networking raspbian or ask your own question. How to route network traffic of a host via another host? 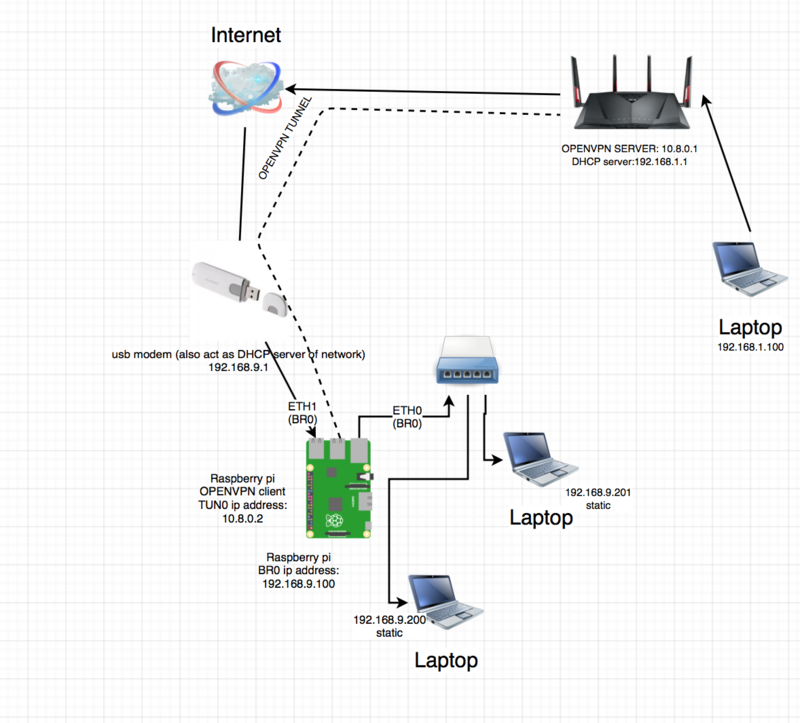 Raspberry pi with openvpn for a 5 user office can work? How to hook an Ethernet over USB connection up to the host-Network? How to use a custom skeleton directory with useradd?